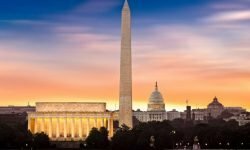 Salt Lake City, Utah – August 8, 2018 –- inWhatLanguage, a leading localization services and translation technology provider, is proud to announce its membership with the Communicating with Disaster Affected Communities Network (CDAC). inWhatLanguage is the first language services company to join the CDAC Network in their mission of improving information and two-way communication between aid providers and affected communities during an emergency. “We welcome InWhatLanguage as an Affiliate Member of CDAC Network and are eager to see how their real-time technologies and tools can support members and the wider sector in the timely removal of language barriers for those affected by disasters and for responders,” said Marian Casey-Maslen, Executive Director of the CDAC Network. 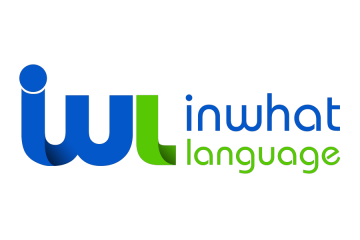 inWhatLanguage commits 1% of revenues to support social impact initiatives and the CDAC Network relationship is important in fulfilling the company’s mission to remove language barriers. Language services are often overlooked in crisis situations, despite the fact that 569 million people are affected by disasters every year around the world. In addition, 98 disease outbreaks occured in 2017 according to the World Health Organization (WHO). Coordination and communication on how to provide the most effective relief strategy between the different disaster responders remains a major impediment in relief efforts. When earthquakes, hurricanes, and deadly disease outbreaks occur, accurate and timely translations are critical to enhance communication between responders to improve the effectiveness of the crisis response. In May 2018, inWhatLanguage’s CEO participated in the Communicating with Disaster Affected Communities (CDAC) Global Forum, in Nairobi, Kenya. He met with UN Agencies and NGOs, including leaders from the WHO Health Emergencies (WHE) Program, to gain a better understanding of the translation needs of humanitarian agencies and front-line responders. “CDAC is a global network of organizations working together to respond to natural disasters and crises through better communication which directly aligns to our current disaster-affected communities impact program, which started because of attending the CDAC Forum and that is why we’re excited to now be members,” said Doug Simpson, Social Impact Manager at inWhatLanguage. “inWhatLanguage is proud to now be a member of the CDAC Network and looks forward to learning from, and working with, like-minded organizations to provide communications in disaster and crisis-affected communities,” said Broderick.